Since being founded in 2007, NPTGS has raised and/or leveraged over $4.5 million for projects and contributed nearly $3.55 million to local communities. Working with its partners, the Society has also built or restored over 230 kilometres of heritage trails, launched and/or completed 18 major projects and staged 165 events, performances, symposia and lectures. 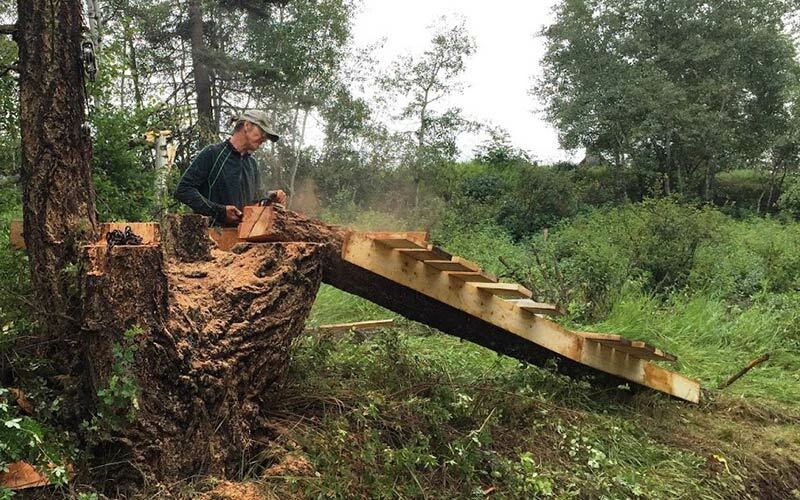 Check out our current projects and have a look at those we’ve completed with our partners along the Gold Rush/Spirit Trails. 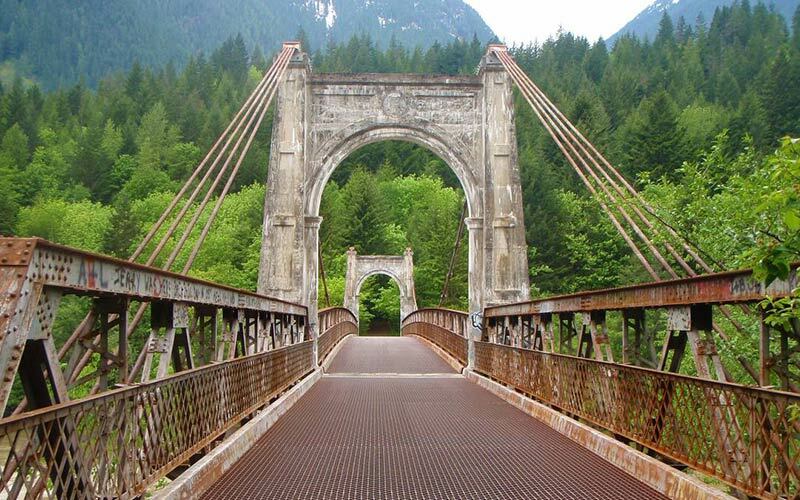 NPTGS is proud to be among the partners in this exciting project led by the Spuzzum First Nation to preserve the historic 1926 Alexandra Bridge and develop the adjacent site’s heritage tourism potential. Project partners also include the Ministry of Transportation and Infrastructure as well as community organizations and local businesses. The Jobs Creation Partnership Project is a $400,000 initiative with the Ministry of Social Development and Social Innovation’s Community and Employer Partnerships Branch and other organizations. The participants are gaining valuable work experience and skills training while working on this multiphase project. 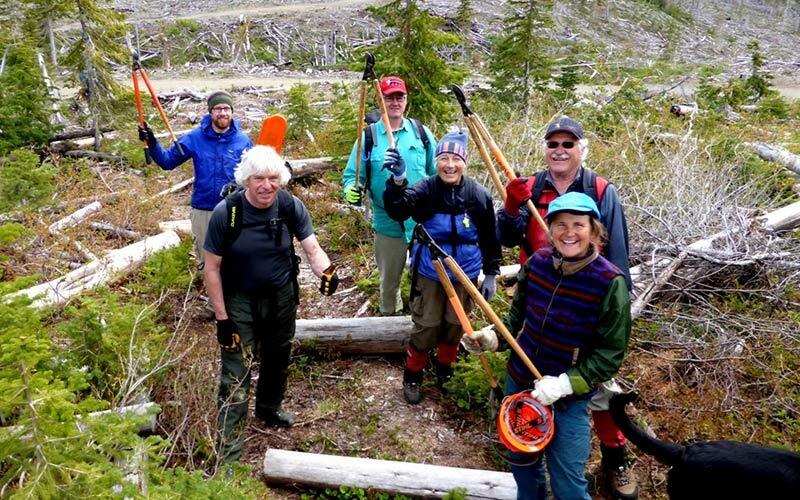 Working with its partners, the NPTGS has built or restored over 230 kilometres of heritage trails in the Hope-Barkerville corridor. Current projects include the Xatśūll Trails (in partnership with the Xatśūll First Nation) and Gold Rush Snowmobile Trail (in partnership with District of 100 Mile House and National Trails Coalition). 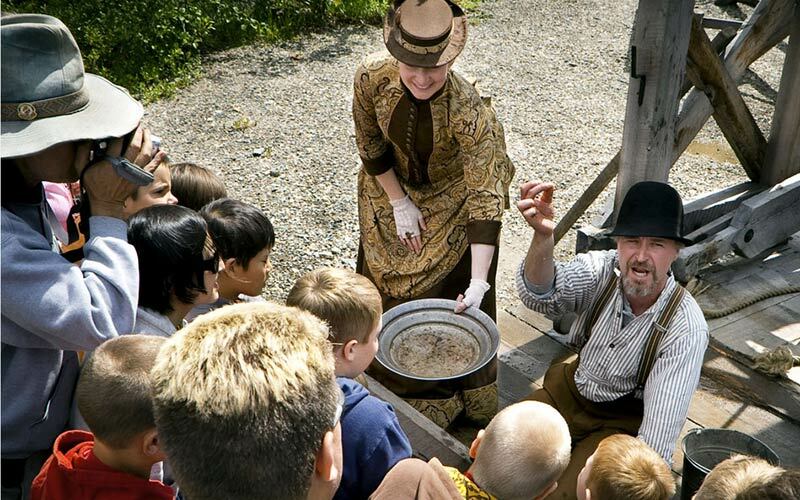 NPTGS has played a leading role in this partnership with the Cariboo Chilcotin Coast Tourism Association and associated Regional Destination Marketing Organizations to reinvigorate the marketing of the Gold Rush/Spirit Trail brand. This joint initiative of Loring’s Savage Society Theatre Company and NPTGS is bringing ancient N’lakap’amux stories recorded on wax cylinders in the early 20th Century by renowned anthropologist James Teit to contemporary audiences. Since 2013, three plays have been produced in consultation with the community, all of them receiving critical acclaim. Acknowledging the contributions of Chinese, First Nations and other nationalities to the building of the community of Ashcroft and the region, this is a joint initiative of the Ashcroft Rotary and Lions Clubs. 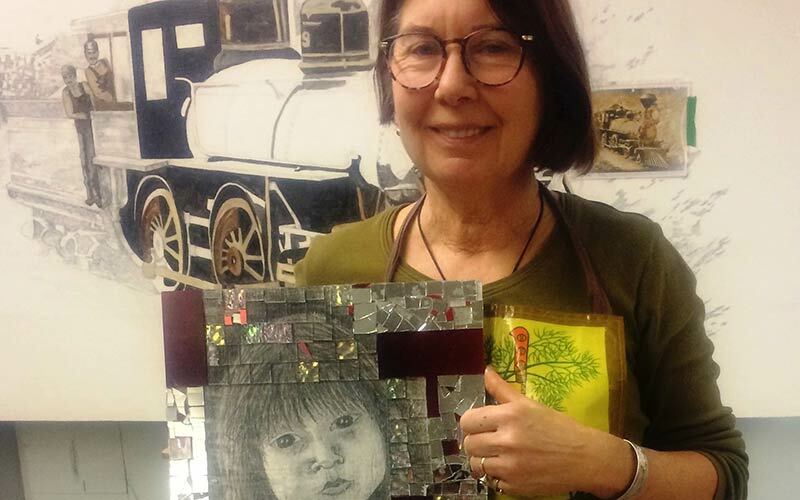 NPTGS is proud to be a sponsor of this project, which will see the construction and installation of a large World Harmony Mosaic and Peace Bell at the entrance to the town. Our heritage trails are more than just a walk in the woods. They’re economic engines that generate tourism opportunities for Gold Rush/Spirit Trails corridor communities. Interpreted and animated, they also tell a more inclusive story of our shared history. 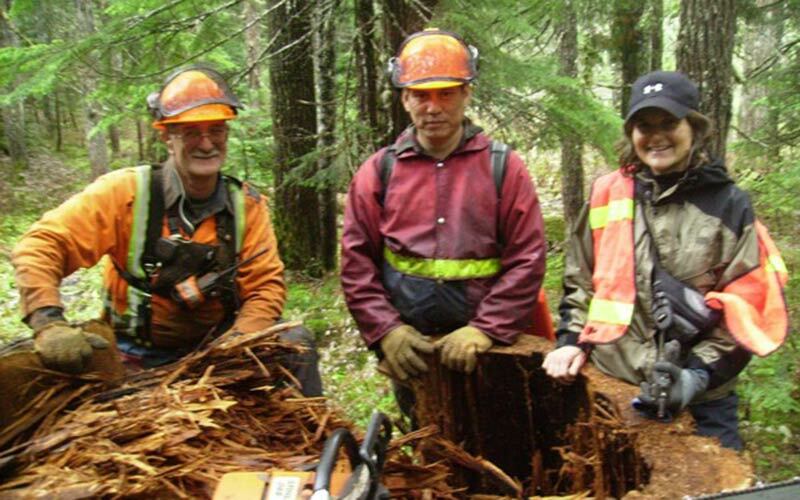 The NPTGS Heritage Trails Program has helped restore some of B.C.’s most famous pathways. Here are two of our recently-completed trail projects. The Hudson’s Bay Company Heritage Trail was officially opened in May 2016. The 74-km trail between Peers Creek near Hope and Tulameen (outside of Princeton) follows the historic First Nations/HBC route over the Cascades. The opening was the culmination of seven years of work by the Hope Mountain Centre and the other project partners, including NPTGS, which contributed financially to the trail. 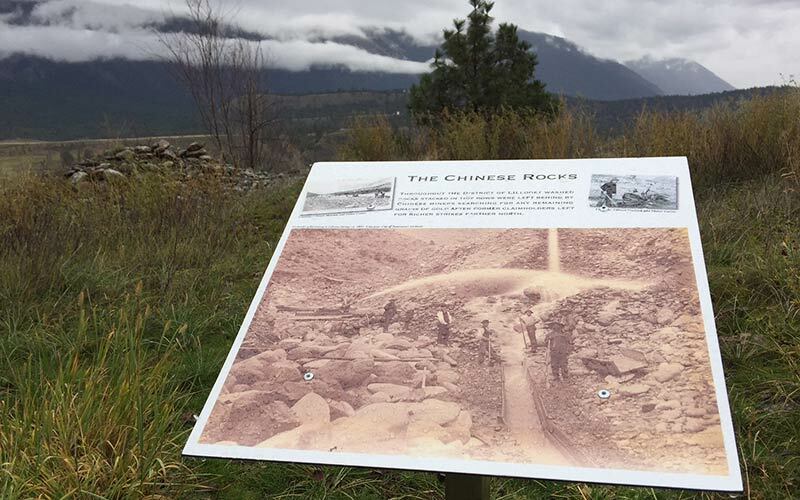 The Golden Miles of History Project celebrated its completion on August 2016 in Lillooet. NPTGS contributed $14,000 towards the project, which created an interpreted 10 km “Bridge to Bridge” trail. The final information kiosks were installed at the Lillooet Museum & Visitor Centre (formerly St. Mary the Virgin Anglican Church) in November. From rebuilding ancient heritage trails to recreating key moments in our shared history, NPTGS has achieved a lot with its partners in the last decade. We’ve produced an international award-winning documentary, staged ground-breaking symposia and lecture series – heck, we even put on a musical revue, all to help rebuild and promote Gold Rush/Spirit Trails corridor economies. Here’s a few of our favourites. 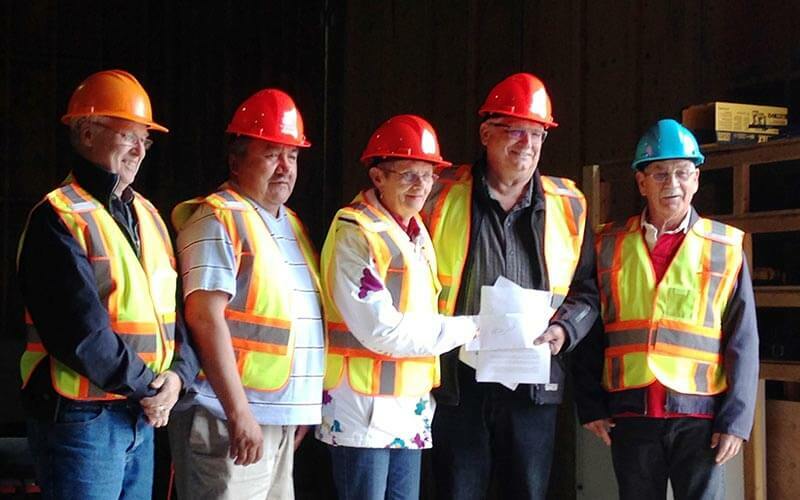 This $98,000 project to restore a 13-kilometre loop on Lake Mountain in the traditional territory of the Spuzzum First Nation was officially completed in April 2012. 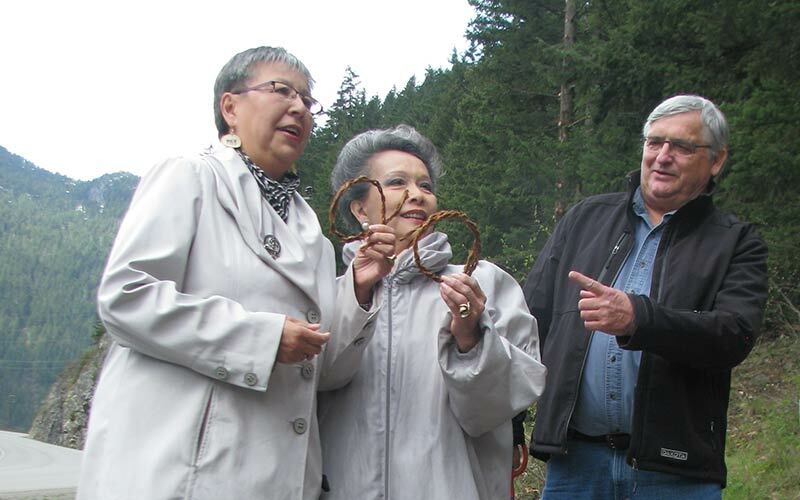 Senators Vivienne Poy and Lillian Quan Dyck were among the dignitaries that helped Spuzzum elder Marion Dixon cut the woven cedar ribbon at the trailhead just north of Alexandra Lodge. Based on an ancient Nlaka’pamux First Nation route, the trail gives hikers and overnight backpackers spectacular views of the historic Fraser Canyon. 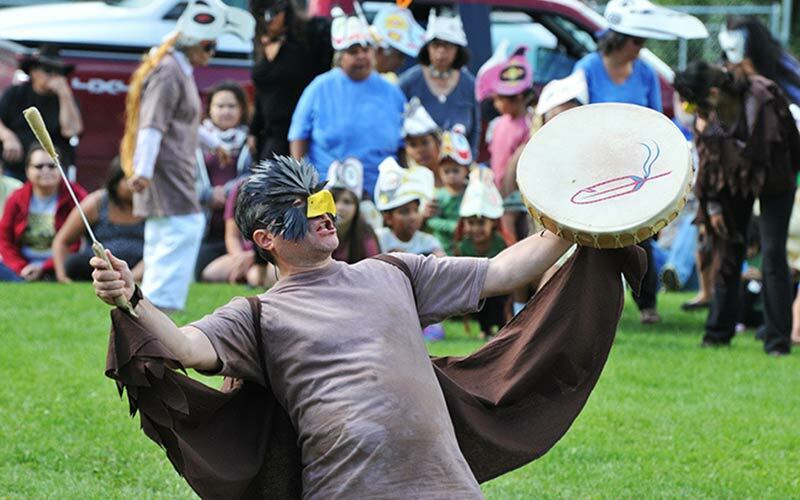 This project in the traditional territory of the Secwepemc People is a partnership between the Xat’sull First Nation, NPTGS and the Northern Development Initiative Trust (NDIT). NPTGS contributed $30,000 towards the project while NDIT provided matching funds. The multi-purpose trail links historic Gold Rush trails around Deep Creek and Soda Creek (Xat’sull). The trail opened in 2016. The 2008 production of The Motherlode was a joint project between the New Pathways to Gold Society and the Newman and Wright Theatre Company (Theatre Royale, Barkerville). The Motherlode was a hit from Sparwood to Vancouver, Barkerville to Hope. 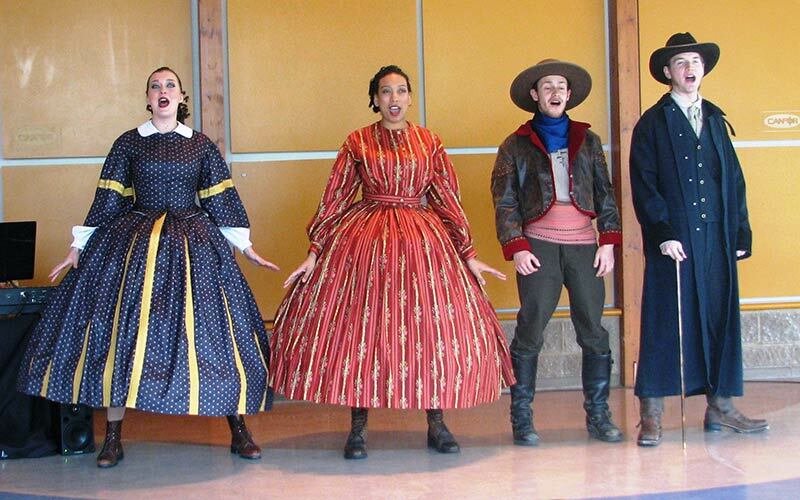 This $230,000-plus production performed dozens of times in 45 communities in front of thousands of people. The troupe covered over 17,000km by train and van.